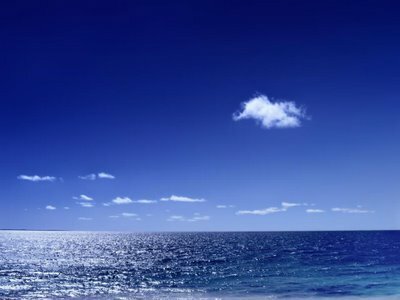 A recent study performed by El Laboratorio Nacional de Aguas, de Acueductos y Alcantarillados (AyA) shows that the level of coliforms in the beach water for every 100 milliliters of water is down from 800 in 2007 to 100 this year. Darner Mora, laboratory director, said that in 2007 corrective measures began. 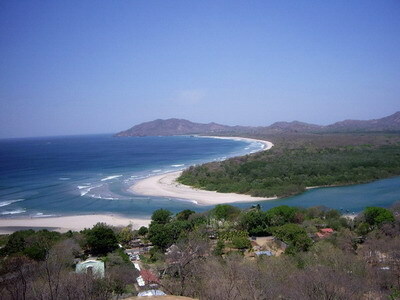 For example, AyA took Tamarindo’s Ecological Blue Flag away, and the Health Ministry sited 80 sanitary infractions to commercial establishments. “It is evident that the actions taken by the community and the government entities have worked,” he said. The study was made during parts of 2008 and 2009 with samples taken from 8 different points in front of the main hotels. Ricardo Sancho, AyA president, pointed out the interest of the Tamarindo residents to reduce the water contamination. “As we were, at the moment, severe and critical in respects to the beach, at times creating anger among hotel owners, today we have to recognize the progress and say to the people that they can swim there without major problems,” he said. Exerts from an article in La Nacion published on 12/19/2009. We from ABC had been asked to meet with a group of 20 students master of USC (University of Southern California) in the “School of Policy, Planning and Development.” They came to Costa Rica with the aim of developing a technical proposal adjusting Costa Rica real estate development in the areas of tourist attraction to the parameters of sustainable tourism. During their stay they visited different parts of the country and the plan is to meet with key people to help them get a better idea of the situation and when they are in Tamarindo. Matt from “Bar 1” was so kind to let us use the space upstairs at Plaza Tamarindo to accommodate everybody. It was a nice meeting on Friday morning, Dec 18th, Luis Mauricio Solis and Rodolfo Tinoco the Architects from LSD supported us in order to provide a good and objective overview of Tamarindo and the surrounding area. Based on the fact that the students had been focused on a solution for sustainable tourism and developing a technical proposal adjusting real estate developments many issues with negative characters were pointed out and analyzed. It was the complete opposite of a sales presentation when we try to put weight on the positive facts and details, but a nice exercise, we hope it was helpful and the students are able to use the information. The Ministerio de Hacienda said on Thursday it is extending the deadline for the payment of the luxury home tax. Owners of luxury homes will have until January 15, 2010 to pay the tax and not December 31, 2009. The announcement was made by Jenny Phillips, the ministra de Hacienda. Phillips said that only 600 of the estimated 10.000 owners of luxury homes have already paid. The minister added that the fact that many offices are closed for the year end holidays andthe complexities experienced by the tax department has complicated matters for many, both the taxpayers and the tax collector, the other reason for the extension. On October 1, lawmakers passed a law that imposes a special tax homes valued at more than ¢100 million colones. The tax is expected to raise some ¢10 billion colones for government coffers, money that would be used to eradicate slums. The law requires that every owner of a luxury home ( any home valued at ¢100 million colones or more, be it free standing or part of a condominium) must pay the tax or face sanctions that include fines and possible confiscation of the home. Minister Phillips said that home owners who don’t pay up by the deadline face a fine of up to 10 times the original tax, plus interest. The tax is for a 10 year period, begging this year. One of the main problems is that the tax law was passed in haste, leaving the tax department to sort out the details and start charging the tax immediately. In addition, this is the first time that the tax department has attempted to collect a property tax in one lump sum. Francisco Gamboa, director general de Tributación, said that this has been a learning experience both for the taxpayer as the tax collector. Some of the complaints filed with the tax department so far is the complications of the form and the manner of payment. In some cases taxpayers have reported difficulties in paying the tax, no matter how hard they tried. Tax experts recommend the hiring of professionals to complete the forms and service of calculation and payment of tax. The price for the professional services vary. The service can cost between us$200 and us$2.000 or more. Some firms offer certificates of evaluation to assure the taxpayer that the evaluation and contribution is not unfounded. Some owners of the luxury home tax are totally confused as if they should pay or not. Adding to the confusion it the possibility of a Constitutional Court challenge to the tax law, which could stall the payment or collection of the tax until the courts resolve the issue. However, no such appeal has been filed as yet. 1. Determine the type of housing based on Manual de Valores Base Unitarios por Tipología Constructiva, which is available on the Ministerio de Hacienda website (https://www.hacienda.go.cr). 2. Obtain the m2 (per square metre) value of the home. 3. Calculate the depreciation that corresponds to your home depending on the type of housing that it corresponds. 4. If the value of the home is more than ¢100 million colones, the property is subject to the tax. Small dogs beware, Tamarindos´ estero resident is back, but now he´s bigger. 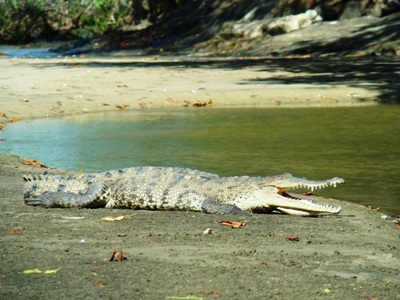 Not only tourists like to lie out in the sun, and the tourists love that he is usually photographer friendly. He/she has been named Lilo by my 3½ year old son. According to Les Nunez, of First Realty in Playa Hermosa in the northern province of Guanacaste, many prospective buyers who arrived before the crisis struck in 2008 made deposits of up to $100,000 on home purcha ses. However, when their expected financing was restricted, a number of them, unable to pay the remaining cost of their homes, lost deposits of up to six figures. Friedman, like Wanger, indicated that after the sluggish start to sales in 2009, buyers have shown increased interest over the past two months. Much of the revived demand has stemmed from significant drops in prices. Friedman mentioned a home that once was valued at $300,000 is now selling for $210,000. 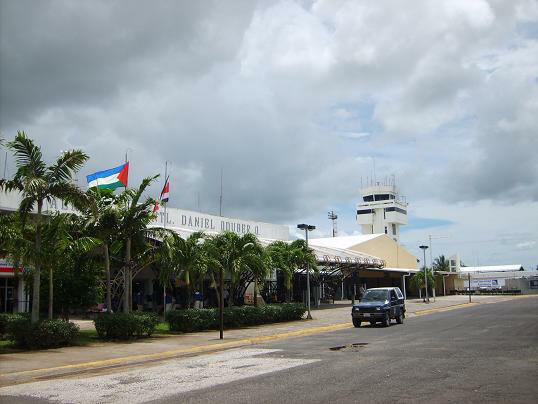 The expansion of Daniel Oduber Quirós International Airport in Liberia will begin by March 2010. The plan includes building a terminal for 1,500 passengers with an investment of $ 35 million. The new terminal will measure 23 thousand meters square located on two floors and will also include shopping areas, airline desks and bathrooms. The beginning of the expansion in the first quarter of next year was announced by Guillermo Matamoros, Vice Minister of Concessions. On that date the company which was entrusted the work shall submit the contract for financing and the final design work, the official said. Taking into account that the contract was not to exceed six months of construction, the new terminal would be inaugurated in September 2010. So far there has been no signs that the commencement of the work could be delayed, according to Matamoros. Rather, the progress so far could lead to start ahead of schedule, said the Deputy Minister. The expansion of the passenger service area at the airport in Liberia became necessary with the rapid growth of demand for that terminal. Since the first six years of the opening of the terminal for international flights, the number of passengers handled grew by over 850%. Last year alone 20% of foreigners who have chosen Costa Rica for their holidays, entered by the “guanacastecan” terminal, according to reports from Tourism. The expansion of the Daniel Oduber was given to Coriport, composed of firms MMM Group SA Aviation, Houston Airport System, Emperador Pez Espada SRL, Brad & Tod Corporation SRL Investment and Cocobolo S.R.L. The construction of the passenger terminal in Liberia was handled by means of concession. This competition will allow private enterprise to finance, build and recover the investment and profits by operating a 20-year contract.